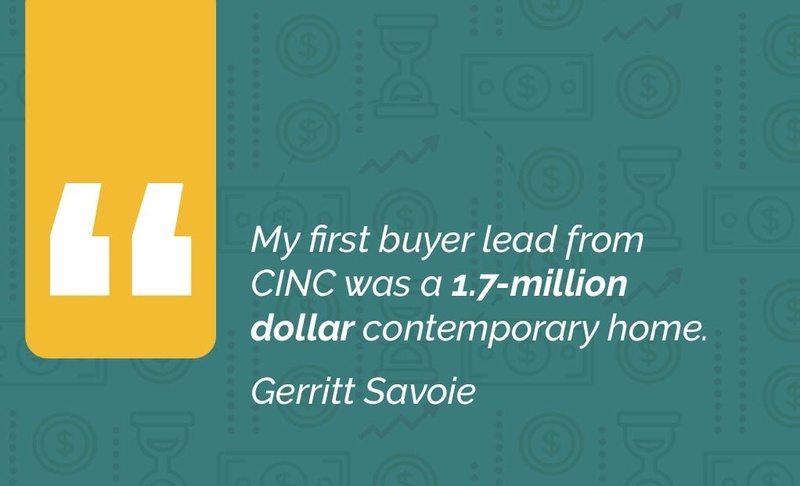 Success in CINC: This week, CINC sheds the spotlight on Toronto-based CINC Pro Agent client Gerritt Savoie, to reveal how his early decision to invest in a technology partner, while entering the real estate industry, resulted in his first 3 transactions exceeding 7 figures! When starting out in real estate, most folks have some existing knowledge of the their market and a sphere of influence to hit the ground running. However after relocating to Toronto, Canada in order to pursue a career in real estate, Savoie quickly realized he was lacking the referral network agents typically rely on to begin their careers. To offset that disadvantage, he turned to alternative resources, paid leads. Despite his own real estate coaches and mentors discouraging him from buying online leads, determined that he would make it work, he turned to CINC Pro Agent to get started. The first 6 months of receiving purchased online leads quickly elevated Savoie into the luxury market. A solid CINC lead flow coupled with his passion for real estate and many years of experience in hospitality allowed Savoie to quickly make a name for himself in the million-dollar market: His very first transaction was a $1.7 million dollar home buyer relocating from Chicago, immediately followed by a suburban couple downsizing to a $1.1 million dollar pent house! His third? A 2.7 million dollar pre-construction condo.Let's make this a text bubble! Savoie credits his success to CINC putting him in front of the right clients with the right opportunities through his investment in online lead gen. Now he stays focused on Toronto’s luxury market in the 5-million-dollar range. "The CINC Pro Agent platform produces 99% of my business. It is the driver of my business" states Savoie. 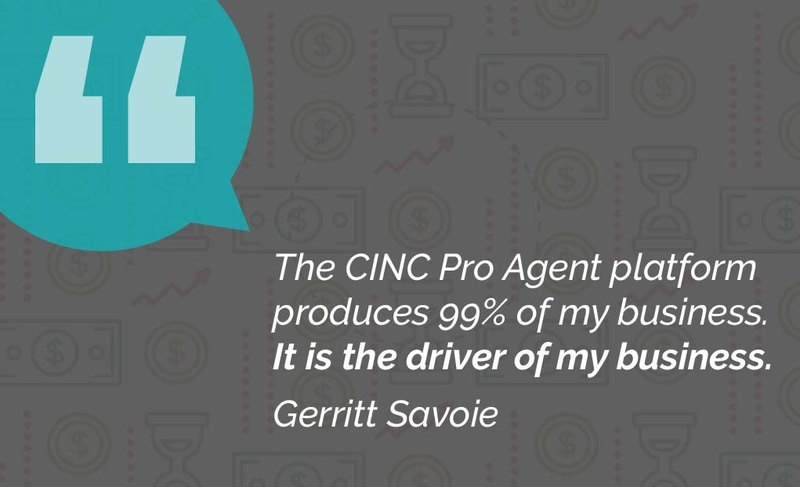 Savoie also uses his Success Partner and the CINC Community to make sure he is using his CINC Pro Agent platform as efficiently as possible. While the CRM is easy to navigate, he also regularly works with his CINC Success Partner to clearly define his goals and see them reflected in the results he sees daily. Savoie is the prime example of an entrepreneurial-minded single agent who understand early on how an investment in a technology partner would result in an ability to generate quality and cost-effective leads, and close deals as a result.